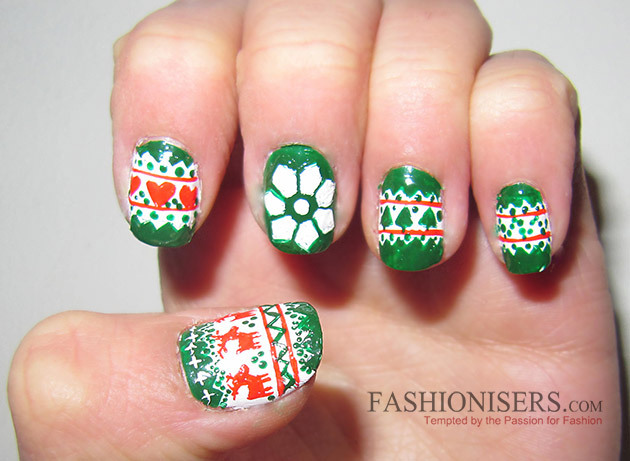 Have you girls already decided what nail art design you’ll wear on New Year’s Eve? That may be a Christmas Tree or a snowman inspired one, snowflakes dancing on your fingertips or may be some festive candies. 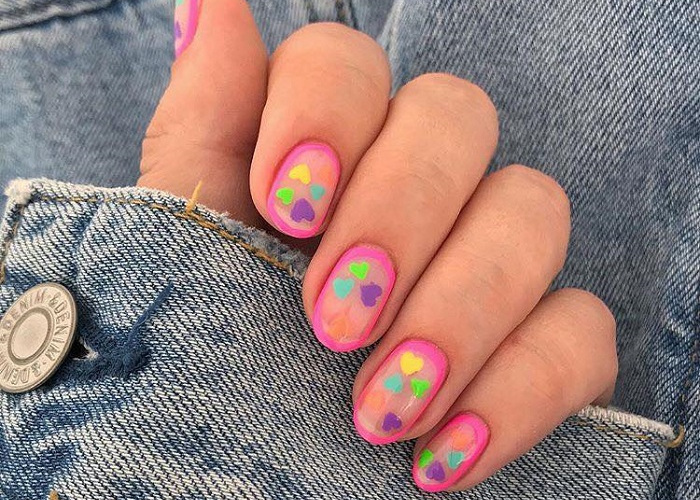 Options are endless; you just have to take your personal style and the party outfit into consideration when determining what party nail art designs to try. We have created here some absolutely cute New Year’s Eve nail art designs to help you find your perfect style! New Year’s Eve is definitely the best time, when we have the yummiest cookies and candies to eat. So why not transfer this dulcet feeling to your nails? Draw a Christmas cookie on one of your fingers, some chocolate melting down on the other two and Christmas candies inspired dots and stripes on the last ones. Need a simpler look? Apply a red nail polish and start drawing stripes on your nails, leaving the two blank for drawing Christmas candies on them! 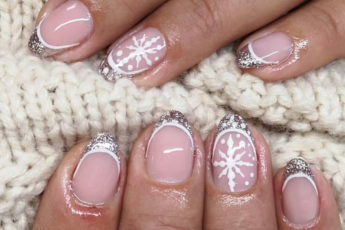 Sure, as the first snow of winter arrives, we all try to picture lovely snowflakes on our nails. You can apply a simple blue nail polish on your nails, and then with a white color, start drawing clouds and snowflakes falling down over the blue. Or else, you can try to picture the absolute beauty of each snowflake, drawing them oversized. To inject a bit fun into your nail design, draw a snowman on one of your nails, a Christmas Tree or lovely bows that are also so into the festive theme! Peekaboo: Who’s There? The Penguin! How much do we love those cute creatures, especially seeing them on our nails! Drawing a penguin playing peekaboo on your nails is definitely fun and creative! Simply don’t forget to add a Santa hat on its head! Is there any fashioniser in this world, who will say she doesn’t love those cozy winter sweaters? Featuring different prints, they all do look stylish, especially when combined with a simple pair of jeans. So, let’s draw those cutie prints on our nails, why not? You have an endless source of inspiration here, and yes, the best way is just to take your own sweater and try to recreate the prints of it on your fingertips! Whatever your New Year’s Eve nail art will be, the most important thing is surely a happy heart and high spirits!